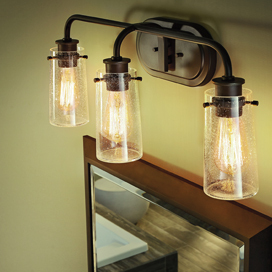 At The House of Lights & Home Accents in Melbourne, we have an amazing selection of lighting options for every customer. If you’re a trade professional, such as an architect, builder, contractor, or interior designer, then we’d love to work with you on your next project. As a professional, you’re likely trying to juggle multiple projects at once. If you’re a builder, then you’re building many houses at once, and you need fixtures for each property. As a contractor, you might be remodeling several homes or working on installing new wiring and lighting. For interior designers, your goal is to help a homeowner come up with the perfect design for their property. The architect is the first person to see how a house is going to be built and how everything will work together. They design the structure and plan for every beam, every wall, and every outlet. Their plans are then taken by the builder and turned into a reality. When it comes to lighting, architects and builders need access to a variety of options. They also need to be able to order several fixtures at once so that they have lights for every room. With our Trade PROClub Program, you can have access to pre-built packages by floor plan and trade discounts, and we’ll also do a walkthrough and review of your blueprints to assess what lighting you need. We can also host you and the homebuyer in our showroom, where a lighting expert will go through all the options you have. 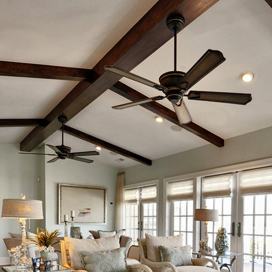 They can also help you and the homeowner design your lighting themes. Once you’ve ordered your fixtures, we’ll keep everything in our storeroom and deliver it all at once so that you don’t have fixtures just lying around or getting in the way during construction. If your main business is remodeling and renovating, then you’re likely always on the lookout for new lighting options. You tend to take care of everything from upgrading old rooms, adding on to homes, and installing new cabinets, fixtures, and more. 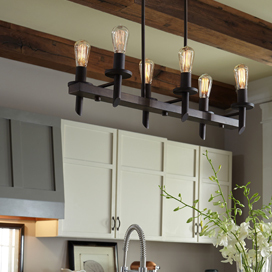 When thinking about lighting, it’s good to consider which styles will make the house feel the most updated. The homeowner likely has a vision in mind, and by working with our trade program, you can provide them with fixtures that fit their vision and their budget. If you’re a contractor in central Florida, then we’d love to see how we can help you. With access to our inventory and resources, you can provide your clients with superior selection and service. The life of an interior design consists of helping homeowners and business owners find the perfect style for their house or office. If you’re a designer, then you likely already have a vast repertoire of ideas that you bring to each project. However, when it comes to lighting, there are a number of styles to choose from, and new alternatives are being added all the time. By working with our expert team, you can bring a variety of choices to your client, along with insights on why perhaps a certain style of fixture will work better than another. 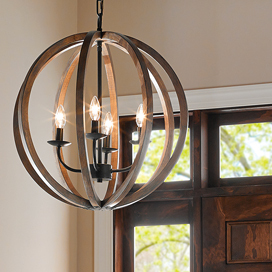 Whether you’re designing an entire house or just one room, you’ll have access to amazing lights that encapsulate what your client has in mind for their home. If you’d like to learn more about our Trade PROClub Program, or you’d simply like to speak with a member of our staff, then please contact us or visit our showroom today. We love working with architects, builders, contractors, and interior designers and seeing how we can provide everything they need to make their clients happy. There are many benefits to working with The House of Lights & Home Accents, and we’d love to help you discover them all!